The last few months have been carried out by harsh accusations from different organizations to some public works in the Camino de Santiago and the indifference of the regional government, finally the matter has been denounced by the Forum do Camiño, composed of over thirty cultural organizations, to the International Council on Monuments and Historical Artistic Sites (ICOMOS), who acts as technical adviser for UNESCO. It is not the only chapter of this thorny issue, or other attacks against property ... 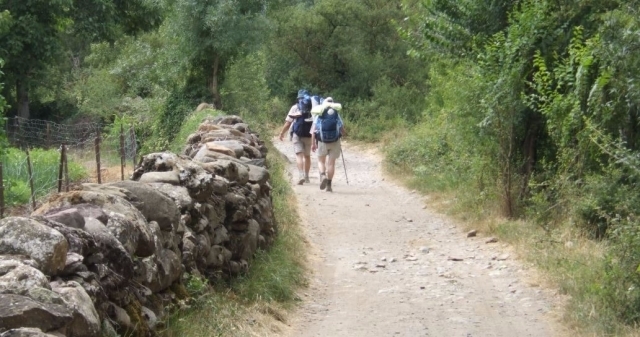 The International Fraternity of the Camino de Santiago has approved this weekend conducting a "blacklist" in which the attacks be collected against monumental and artistic heritage on the Camino de Santiago. The historian Miguel Cajigal will be responsible for organizing the committee, the list should be operational by the end of the year. The list is meant that, when they appear news denouncing attacks against heritage in the press, the matter will not be forgotten and get lost in time, because the list will be made public on the website of the International Fraternity of the Camino de Santiago. Of course, individuals may submit complaints to the Fraternity will be attended by those responsible and tested by experts. Es lo que hacía falta, que se tomaran duras medidas contra este tipo de "atentados" en el sentido más literal de la palabra. A ver si entre todos podemos evitarlos.